Youth does not confer immunity to zombification. Typically, that just means that whenever a boy wears the Zombie Boy Costume, he will wind up looking less like a horrible ghoul and more like a terrifyingly adorable child zombie. Your little boy will look like he came straight from the grave when dressed in this impressive costume. 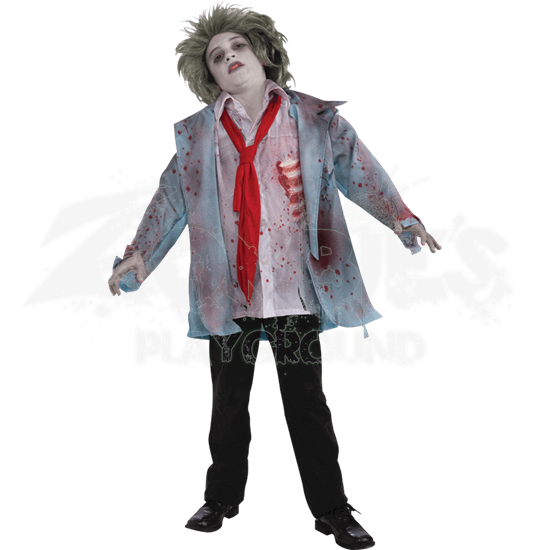 This ghoulish costume comes with a tattered blue suit jacket with attached white shirt, both of which are covered in bloody splatters. The attached white shirt also features a tear that reveals red tissue and a few white ribs just underneath the clothing. Also included with this impressive costume is a red neck tie that brings the whole look together. The costume does not include any pants, shoes, make-up, or zombie wigs. Only the pictured jacket, shirt, and tie are included. 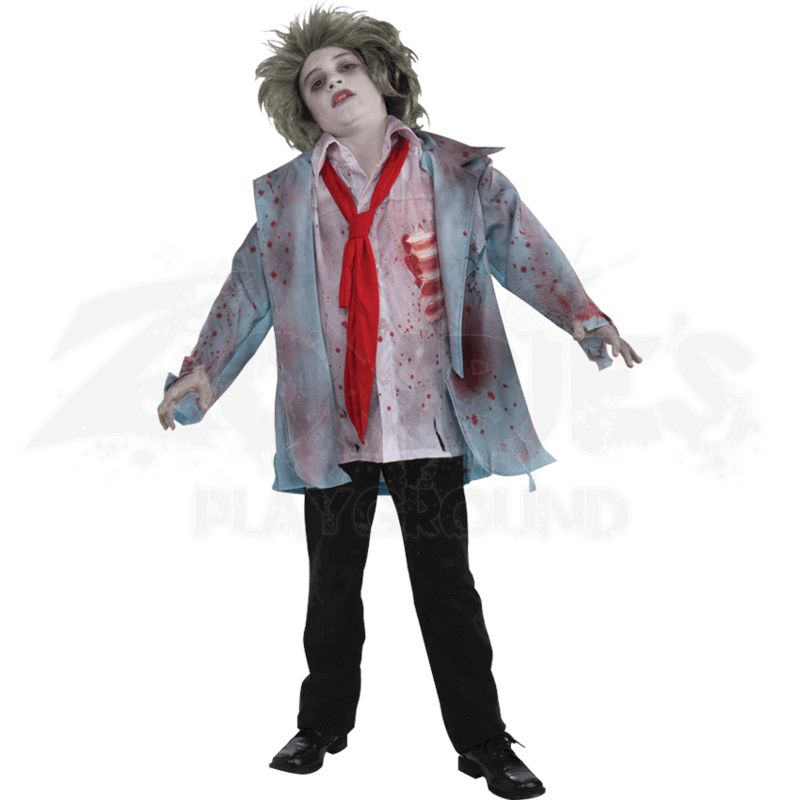 With the Zombie Boy Costume, the whole family can zombify itself and share in the joys of being a family of walking dead.